SAPA-IT marks an innovative workshop process in which Interisland Terminal is supplementing the Smithsonian Asian Pacific American Center's A Day in the Life project. This project is centered on diversifying the portraiture of the America mediascape through a call for images of Asians and Pacific Islanders on May 10th. The date was chosen to address the exclusion of Chinese labor in the celebratory photographs and paintings of the Golden-Spike Ceremony, which marked the completion of the transcontinental railroad on May 10, 1869. This May marks the 145th anniversary of the ceremony and the Asian Pacific American Heritage Month. In partnership, Interisland Terminal is hosting a series of workshops to identify and develop critical explorations of identity and digital mediums. Interisland Terminal is pleased to announce the participants for SAPA-IT! Participants have a wide array of interests ranging from: humanitarianism and cultural diversity, Micronesian diaspora, challenges with Hawaii's tourism, identity politics, consumerism, racial tensions, flows of capital and labor, the globalization of cultural practice, and homelessness. 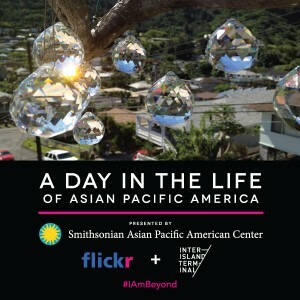 The participants are critically exploring what it means to be Asian and/or Pacific Islander in Hawaiʻi today. This collective of artists will be participating in a workshop series to iteratively develop these concepts through digital mediums. On May 10th, 2014 artists will shoot and by May 14th post their pieces to FLICKr. The Smithsonian will then curate a series around the media that is collected across the country and throughout the Pacific. Billie Lee, MFA, will be leading a round-table discussion with the SAPA-IT collective on June 19th, 2014 from 6:00 - 8:00 pm at the soon to be opened Kakaʻako Agora. Please join us for this public discussion by registering here, seating is limited. Alissa Healani Altmann was raised in upstate NY where her father helped to cultivate her love of photography. Currently researching agriculture, food policy and food security at the University of Hawaii's Department of Urban and Regional Planning, Alissa's work explores the relationships of people with farms, food and the culinary world; relationships that transcend the boundaries of culture and geography. An explorative story-teller, Jessi Devera engages viewers into the realm of indigenous cultures, political extractions and innocent imagination. Devera has studied at the University of Hawaii and resides in her home city of Haleiwa. Devera's works have exhibited in Hawaii as well as in Los Angeles,California. 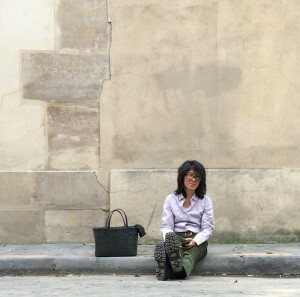 Devera's works in multimedia are frequently provocative and range from performance art, photography, sculpture and print. Devera is also involved in historical documentation and lends her craft to local non-profits and community endeavors. Currently, she is creating works inspired by the local activists and current, indigenous historical findings. 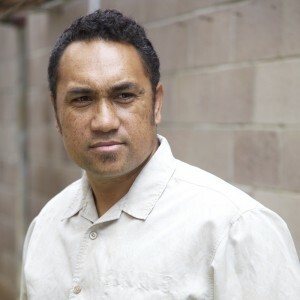 Native Hawaiian filmmaker, artist, activist Christopher Kahunahana was born on Oahu and raised in Waimanalo, Hawai'i. He founded the Honolulu Underground Film Festival and the Cinema Paradise Island Independent Film Festival to showcase critical film. In San Francisco, under the monkier Mr. Brown, Christopher has won multiple "Best of bay Awards" from the S.F. Bay Guardian for his efforts in promoting music and art culture. In Honolulu, Christopher built Nextdoor nightclub, helping transform Chinatown into Honolulu’s Arts District. In 2013, he sold Nextdoor to pursue film and founded 4th World Film, where he wrote feature screenplay Karaoke Kings. In 2014, He was selected to participate in the Sundance Institutes, Native Lab Fellowship. Currently he is producing and directing short film Lahaina Noon.